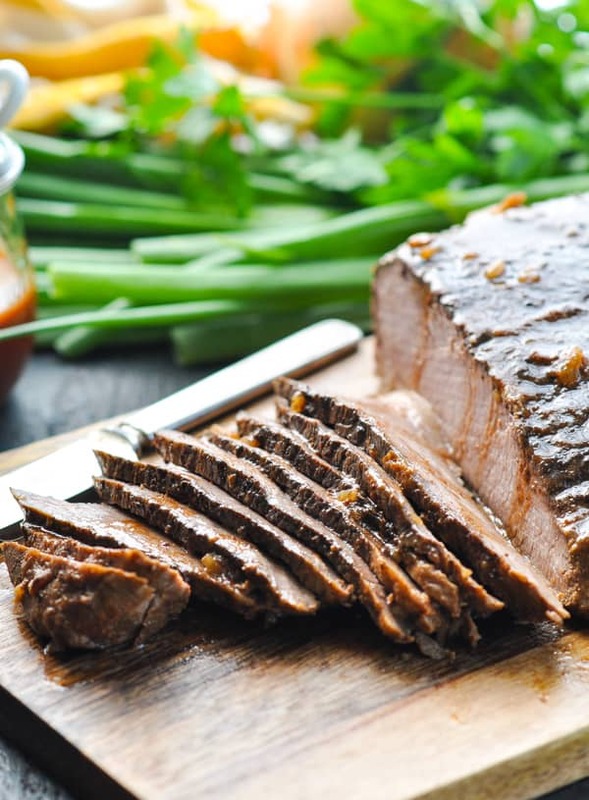 This Slow Cooker Brisket recipe is the easiest way to get a tender, juicy, and flavorful beef brisket -- and you only need 10 minutes of prep! 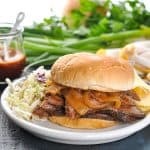 This Slow Cooker Brisket recipe is the easiest way to get a tender, juicy, and flavorful beef brisket every single time! 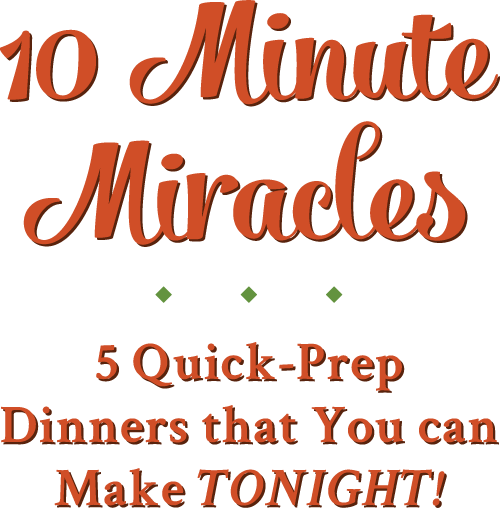 With only 10 minutes of prep, you can set the timer and let your Crock Pot do the work. 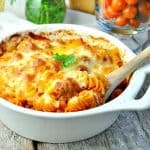 You’ll come home at the end of the day to a delicious, simple, homemade dinner! My husband is The Barbecue King. He can take any piece of meat and smoke it low and slow for a few hours and make it taste like heaven. He creates the best barbecue, and he’s definitely discriminating when it comes to eating other people’s barbecue. Not just any restaurant will do! 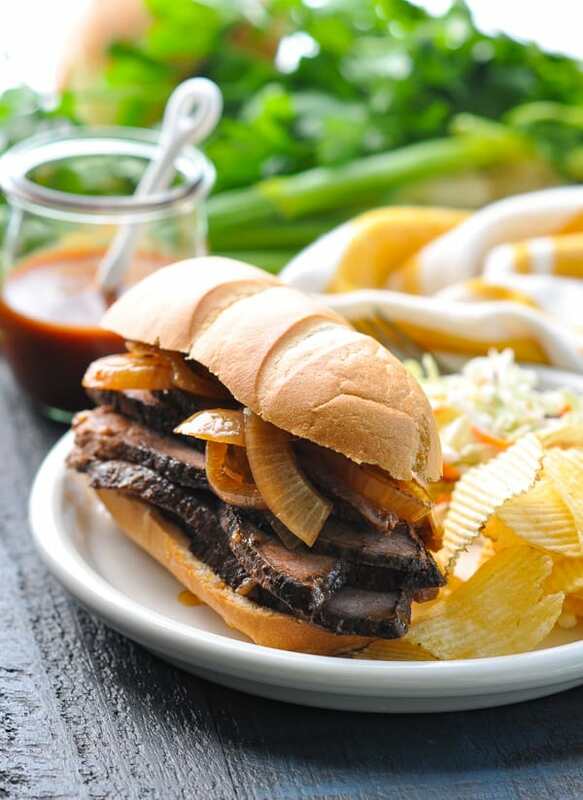 That’s why this slow cooker brisket is so great — it is officially approved by Keith and the 3 boys, and I can make it inside (with almost zero effort) any day of the week! And you know what? The whole family, Keith included, loved it! I felt very accomplished — especially because this recipe is easy peasy. 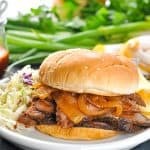 WHAT IS THE BEST WAY TO COOK BRISKET AND HOW DO YOU MAKE BEEF BRISKET TENDER? When cooking brisket, the ultimate goal is a tender piece of beef. 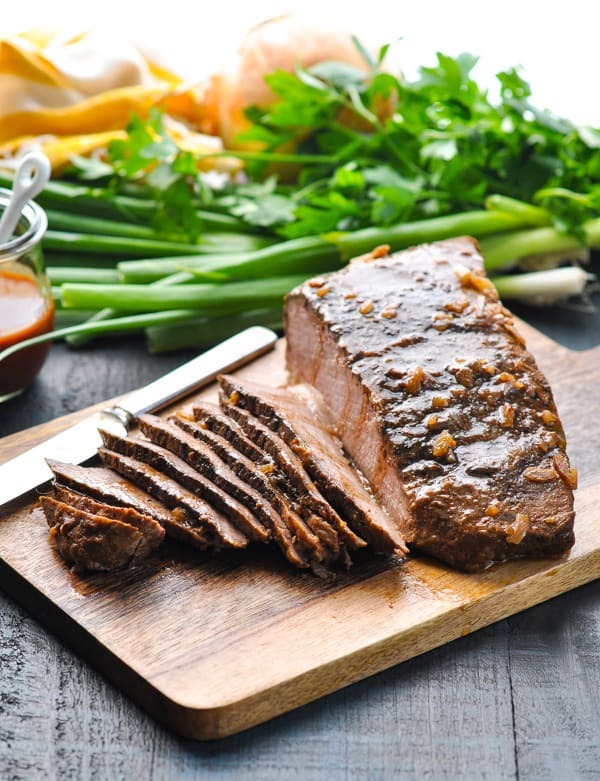 Brisket is naturally a tough cut of meat, due to the collagen fibers that make up the significant connective tissue in this portion of the beef. Cooking the brisket slowly at a low temperature gives the fibers time to break down, and eventually results in a very tender piece of meat. 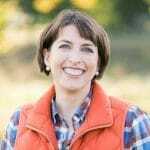 There are a variety of ways to cook brisket — including smoking, braising, and boiling — in my opinion, the slow cooker is the BEST option. 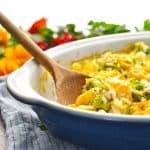 This particular recipe offers the smoky flavor that everyone loves, but it doesn’t require the hands-on attention that other methods necessitate. If I can “set it and forget it,” sign me up! 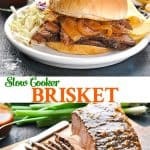 HOW DO YOU COOK BRISKET IN A SLOW COOKER? Let’s start with the basic ingredients. 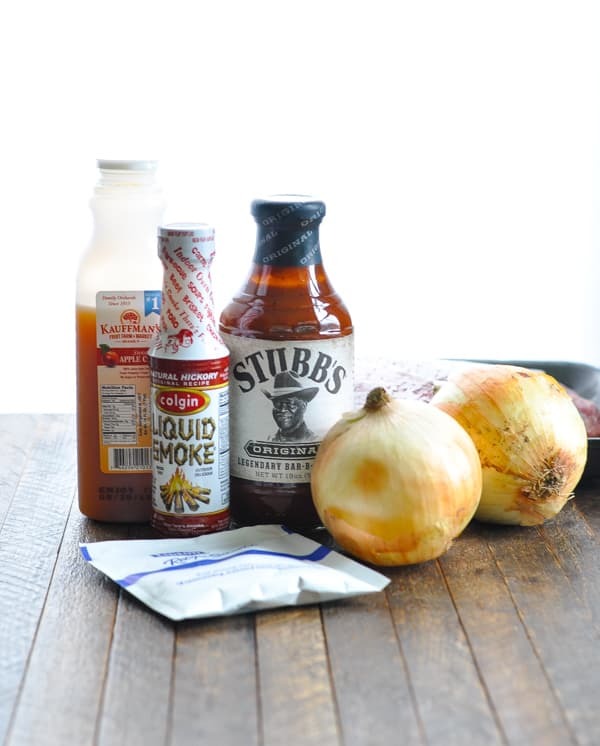 In addition to the beef brisket, you will also need: sweet onions, a packet of dry onion soup mix, barbecue sauce, apple cider or apple juice, and liquid smoke. 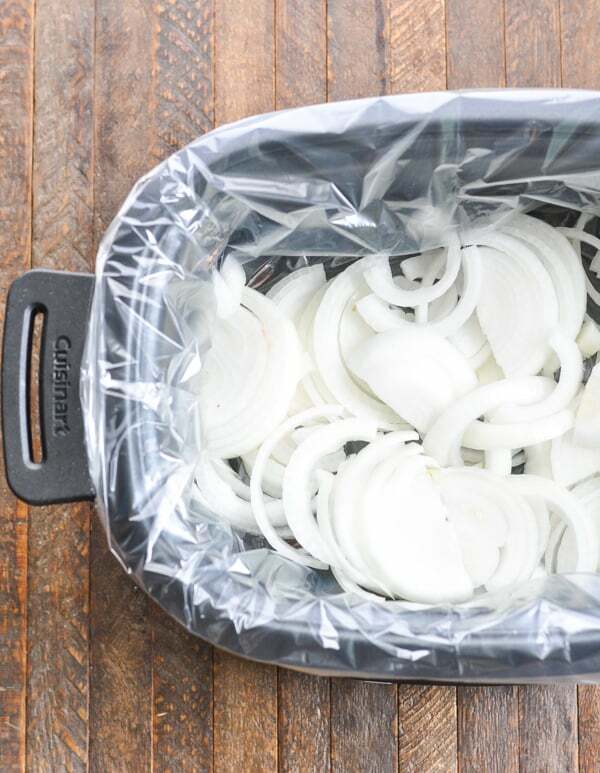 The sliced onions go into the bottom of your slow cooker. I like to use the slow cooker liners for easy clean-up! 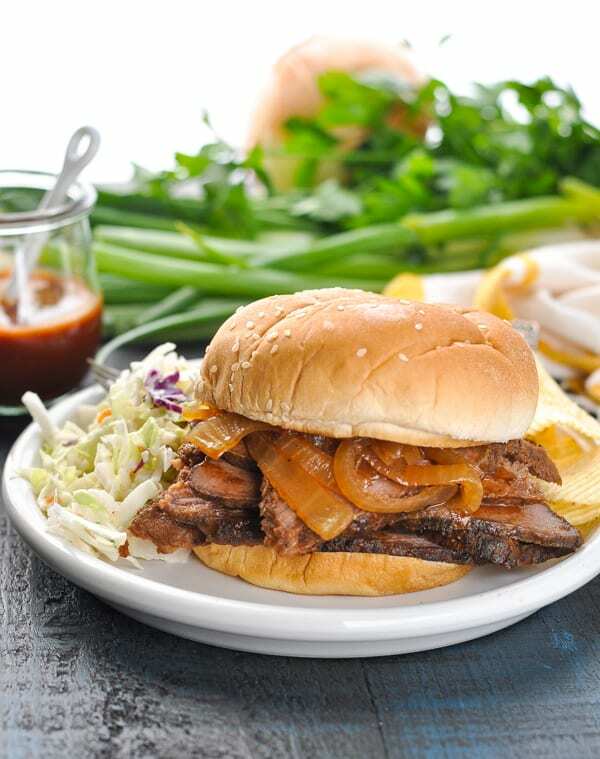 Place the brisket on top of the onions, and sprinkle the dry onion soup mix over top. Next, whisk together the barbecue sauce, apple cider, and liquid smoke. 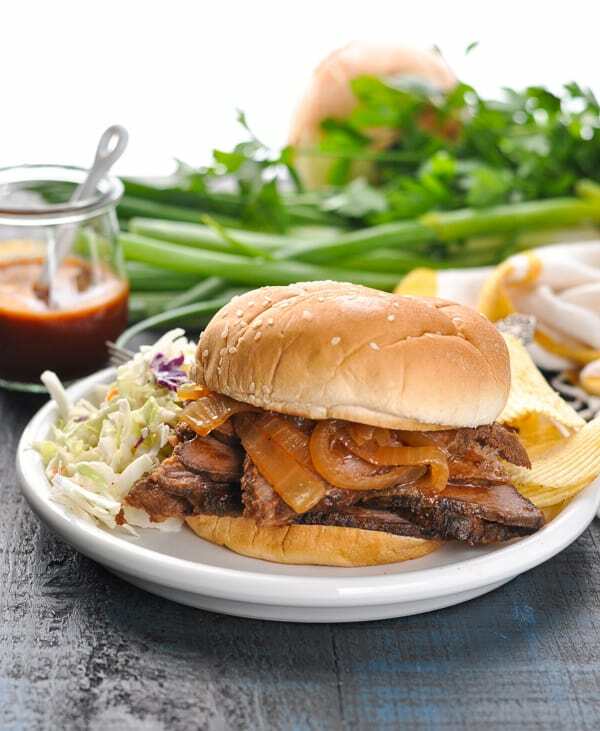 Pour the smokey-sweet concoction over the beef brisket and you’re done! Just set the slow cooker for 8-10 hours on low, and you’re good to go! When you return home to the tender, juicy brisket, it’s important to allow the meat to rest on a cutting board for about 10 minutes before slicing and serving. When it’s time to dig in, be sure to cut the beef against the grain as thinly as possible. 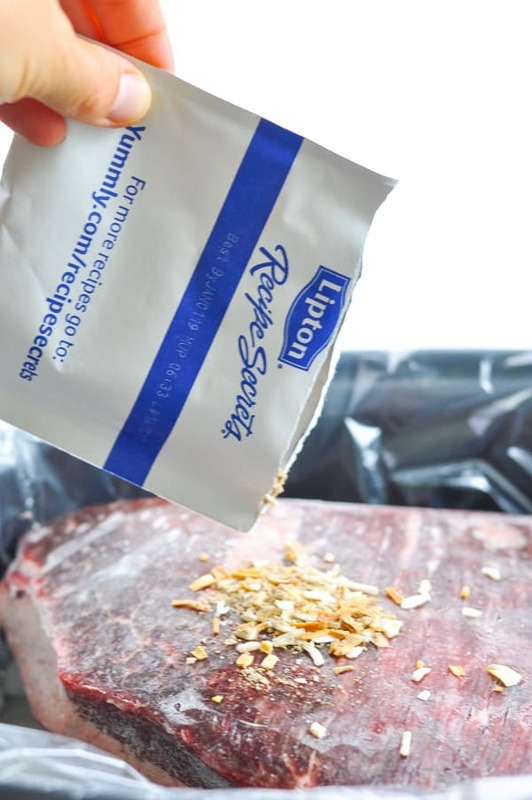 This yields the best beef brisket recipe every single time! 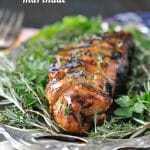 Now have I convinced you to give this dinner a try? I liked the meat served straight on my plate, but Keith and the boys really enjoy it served sandwich-style on some buns, topped with the onions and extra sauce from the pot. It’s the perfect taste of summer in the middle of winter! 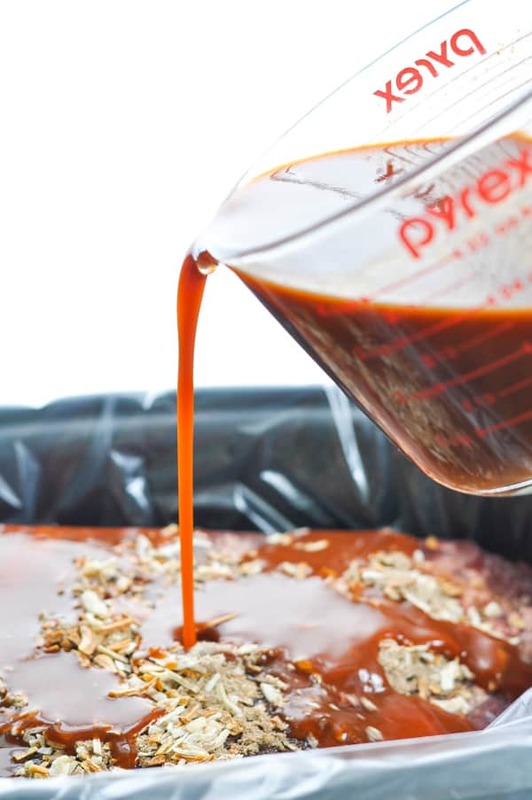 Spray slow cooker with cooking spray or use a disposable liner. Place onions in bottom of slower cooker. Place brisket on top of onions and sprinkle onion soup mix over top. 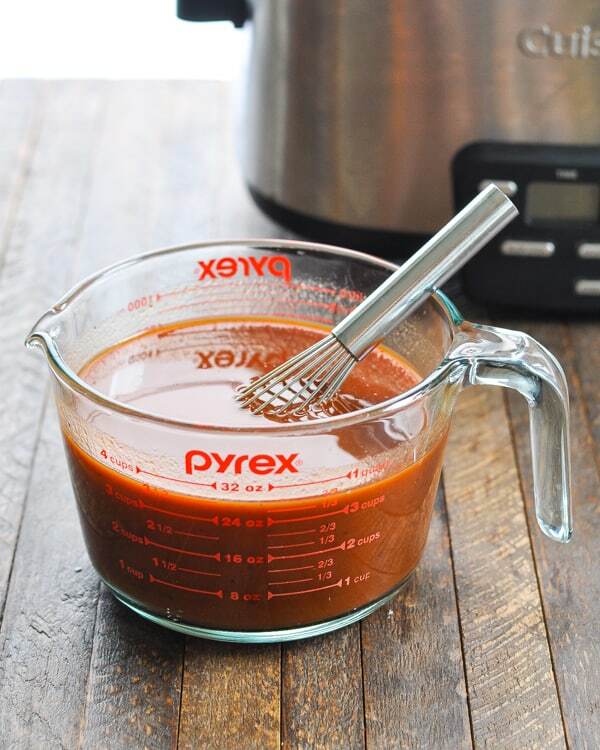 In a small bowl, whisk together barbecue sauce, apple cider, and liquid smoke. Pour over brisket. Remove brisket to a cutting board and allow to rest for about 10 minutes. Slice meat thinly against the grain. Spoon sauce and onions from pot over the meat. Serve on buns as sandwiches, if desired. Tip: the leftover meat freezes really well for a later meal! Reheat thawed leftover meat and additional barbecue sauce in a saucepan over low heat until warm. 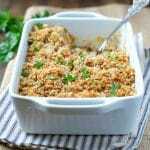 This recipe was originally published in March, 2014. The photos were updated in October, 2018.